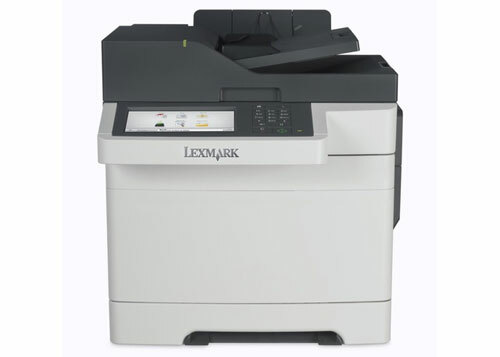 The Lexmark XC2132 MFP delivers rich, consistent color printing that can enhance your company's materials and brand. It's faster and more reliable than ever. Freedom to Print on the Fly - Produce professional color in-house, on demand. With 1 GB of upgradable memory and a dual-core processor, you'll print fast, too. High Resolution Graphics - With up to true 1200x1200 dpi resolution, images and graphics stay crisp. Lexmark's Unison™ Toner ensures consistent quality, too. Super Fast and Quiet Output - Quickly print, copy and scan up to 32 pages per minute in black and color, plus produce a 1-page color document in as little as 11.5 seconds. Using a multifunction printer is easier than you think. Our system's easy-to-read touch screen saves steps with the press of a button, so you can focus more on business. Reliable Performance - Easily print up to 7,000 pages a month, plus enjoy fewer maintenance hassles, thanks to our state-of-the-art paper handling. Run Larger Jobs without Interruption - With an input capacity of up to 1,450 sheets and and extra high yield toner cartridge options, you won't have to add paper or change cartridges as often. Smart Touch Screen and USB Port - The vibrant 7-inch color touch screen provides access to easy-to-use preinstalled productivity solutions. There is a convenient front USB port, too. Innovative Toner That Optimizes Performance - Get greater system performance with Lexmark's Unison™ Toner, which delivers consistent image quality from fi rst print to last. Productive Workfl ows. Sustainable Design. Quickly respond to changing business needs with our eco-friendly printers that help streamline your workfl ow using productivity solutions. Work Smarter Not Harder - If you can use a mobile phone application, you can use our pre-loaded solutions. Touch screen and access shortcuts make it faster and easier to scan, print or send faxes, emails and other business- critical documents. Enjoy Enterprise-level Security - Now you can authenticate, authorize and audit employee usage-plus protect sensitive data using standard network security protocols. Save Resources and the Planet - An instant warm-up fuser, built-in 2-sided printing, plus Quiet, Hibernate and Eco modes minimize noise and save paper and energy. Print Anytime and Anywhere6 - With this system, you can print from desktops as well as mobile devices that can run applications.